I had some editing to do the other day that, for one reason or another, I wanted to do on my Windows machine. I tried several open-source utilities, but none of them can cut the mustard like Adobe Premiere Pro can. However, the only legitimate version I have is Premiere Pro CS3, vintage 2007, purchased for good money back then (which I’ve all made back, thanks to a three-day editing job I got for BBC interactive, literally a week after I bought it). Those were the days before Full HD video was commonplace, and way before anyone dared to mention the idea of 4K. But I digress. So I tried to install Premiere under Windows 10, and to my surprise all worked rather well – until the registration part came and told me that this app could no longer be activated. 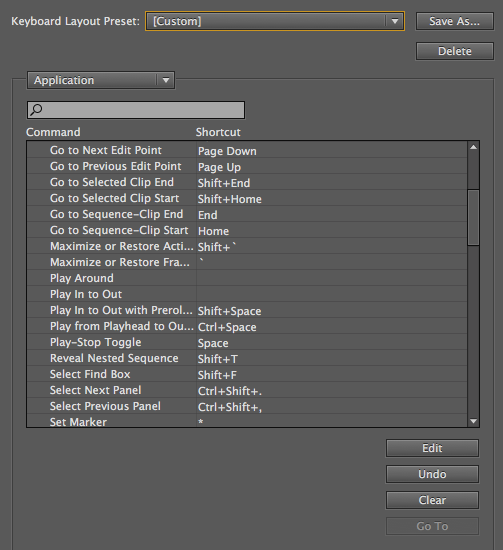 Premiere has a handy menu in which we can lookup existing shortcuts, as well as setup our own. There are so many functions, and not all of them have pre-defined shortcuts. 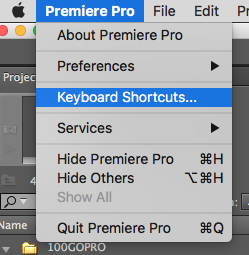 Head over to Premiere Pro – Shortcuts and save whole sets of shortcut setups. Needless to say, we can also change existing shortcuts to something more personal here. In this episode I’ll show you how to use existing items of clothing and re-fit them to a other characters in DAZ Studio, using Marvelous Designer. Although auto-fit does work in many cases, it can also give extremely ugly results, and by having Marvelous Designer re-fit clothing, this can be greatly improved. Turntable animations show an object or a collection of objects from all sides. They’re usually rendered as a loopable image sequence. The above is such an example of Michael 7, assembled as a GIF image. He’ll keep spinning forever! To export a single Shape Key as OBJ file, all we have to do is set the desired Shape Key to 1 (or whatever value we like) and use the File – Export dialogue to create an OBJ with the shape/morph applied. However, if you have several dozen Shape Keys that need to be exported, repeating the above several dozen times can be tedious and error prone. Blender hasn’t got an built-in option for such a batch-export operation, but thanks to a lovely man named TLousky, we can use a handy Python Script to do the job. Excellent… what exactly does it do? This script will iterate over each Shape Key of the currently selected object, set each shape key to a value of 1, and export it to the desired path as OBJ file. Feel free to change the scale upon export if you like, and don’t forget to set a valid path for where you’d like your OBJs to be saved. Awesome… how do we run this thing, Cap’m? To run a script in Blender, open a Text Editor window (NOT the Python Console). I like using the Timeline Window for that. Click the New button to create a new text file. Now copy the entire code from above into the otherwise empty window inside Blender and hit the Run Script button at the bottom of the window. Blender will go to work and do its thing. With a bit of luck, no error message will be displayed. Your destination folder should now contain the desired OBJ files. I’ve explained how to do it all step-by-step in the above video. Blender stores Morph Targets as Shape Keys. Those can be accessed and created in the palette that resembles the Flux Capacitor icon (it reads Data when you hover over it). The Specials Menu is hiding under the little triangle, underneath the plus/minus icon. 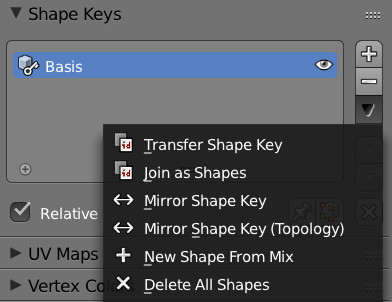 Note that your master object needs to have a Basis Shape Key defined (you can do that by clicking the plus icon in the same menu). Now you can delete the second object from your scene and use the slider to morph your master object into your second object. And finally, both objects need to have the exact same amount of vertex points, otherwise the operation isn’t going to work. In this video I’ll show you how to fix the partially obstructed or occluded Viewport Controls bug in DAZ Studio. I’ve experienced this problem when I have the Shader Mixer tab docked somewhere, but it stands to reason that other docked panes also have the potential of causing this bug. Photoshop has an interesting set of filters that let us turn ordinary images into fascinating Bokeh Effects. Those can be useful as a nice alternative for gradient backgrounds due to the elements of randomness they can bring, or for foreground effects akin to those created with plastic cameras. In this episode I’ll show you how to export assets from DAZ Studio to Blender and back, at a consistent scale and orientation. The default Blender export preset in DAZ Studio is broken, hence the workflow requires a bit of tweaking and knowledge on how Blender thinks about units and scale (which I’ll also show you). I will focus specifically on creating morphs for characters in another video you may find useful here. In this episode I’ll show you how to create a string side light in DAZ Studio 4.9. The default light looks very soft and does not create a dramatic effect, so we’ll see how to remove those first, and then apply our own parametric spotlight. In addition, we’ll add and tweak the default IBL to soften up shadows a little bit.